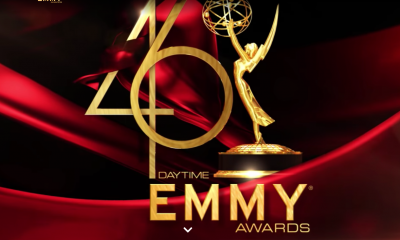 The Bold and the Beautiful & The Bay Win Big At 45th Annual Daytime Creative Arts Emmy Awards! It was a good night to be BOLD! The CBS Daytime drama series, The Bold and the Beautiful racked up the most Daytime Emmys; along with the iconic children series, Sesame Street last night at the 45th Annual Daytime Creative Arts Emmy Awards. The show honors the best in behind the scenes crafts for daytime programming, as well as handing out key acting honors in the digital drama series arena. The ceremony held at the Pasadena Civic Auditorium saw B&B take home 7 honors including: Outstanding Lighting Design for a Drama Series, Outstanding Drama Series Technical Team, Outstanding Live to Tape Sound Mixing, Outstanding Music Composition for a Drama Series, Outstanding Make-Up, Outstanding Costume Design, and Stunt Coordination. The Bay took home 5 Daytime Emmys for Kristos Andrews, Outstanding Lead Actor in a Digital Drama Series, Jade Harlow, Outstanding Supporting Actress in a Digital Drama Series, Eric Nelsen, Outstanding Supporting Actor in a Digital Drama Series, Gregory J. Martin for Outstanding Direction of a Digital Drama Series, and Patrika Darbo for Outstanding Guest Performer in a Digital Drama Series. General Hospital picked up three awards including the ninth Daytime Emmy for Casting Director extraordinaire, Mark Teschner. The ABC soap also won Outstanding Song for “Who I Am”, and Outstanding Art Direction. The Young and the Restless picked up the prize for Outstanding Multi-Camera Editing for a Drama Series, and Outstanding Hairstyling for a Drama Series. Former daytime stars, Michael Park (Jack, ATWT) and Kristolyn Lloyd (Dayzee,-B&B) also received Emmys for their Today Show appearance performing songs from the Tony-winning smash, Dear Evan Hansen. So, what do you think about the night’s big winners at the Creative Arts Emmy Awards? Comment below. 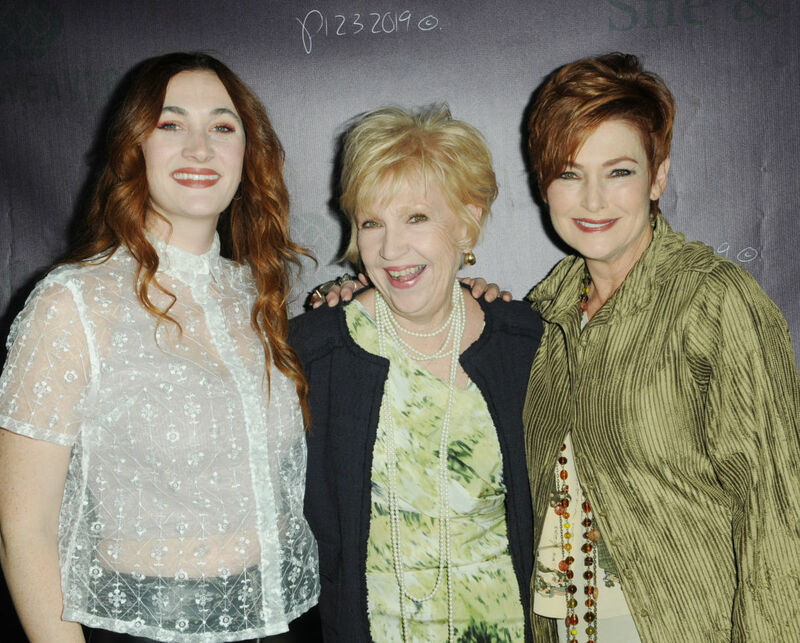 The Talk’s Daytime Emmy After-Party: Watch The Segments With The Daytime Drama Winners! Camila Banus Signs On To Stay At Days of our Lives! Can you please put a link on your twitter tomorrow so people who do not have facebook can watch the show.Also, the first 20 minutes of the red carpet coverage on facebook last night was not scene.During this time I went to you tube and their was no sound but we saw the people walking around for 20 minutes.Did anyone tell you about these problems? Congratulations to all who were nominated and won. Shout out to Miss Beehive And RC Cates- didn’t win, but loved the song and music and Miss Beehive’s lovely voice on YR. I can see how Bold won best costumes-despite most scenes taking place on a mattress. I am pretty sure the costumers are behind all the great frocks and designs the Forresters-and Spectras are credited with. The ceremony and red carpet lasted hours. Kudos to all press covering the event for their tenacity and hope cocktails were available. Looking forward to tomorrow night’s results and good luck to all. Thanks for the coverage, Michael. I do believe that one garnered a collective rolling of eyes, K/kay! It was something that you simply couldn’t make up…. HAHAHAHA! No kidding! I can’t stand “Parking Lot Pete,” and won’t watch any episode that he is in-what a joke! His girlfriend continues to pimp him out-on the cooking channel, and at the Creative Art Emmy Awards. So ridiculous! Funny, I swear he wore the same blue suit at the Creative Art Emmy Awards that they always put him in on GH! 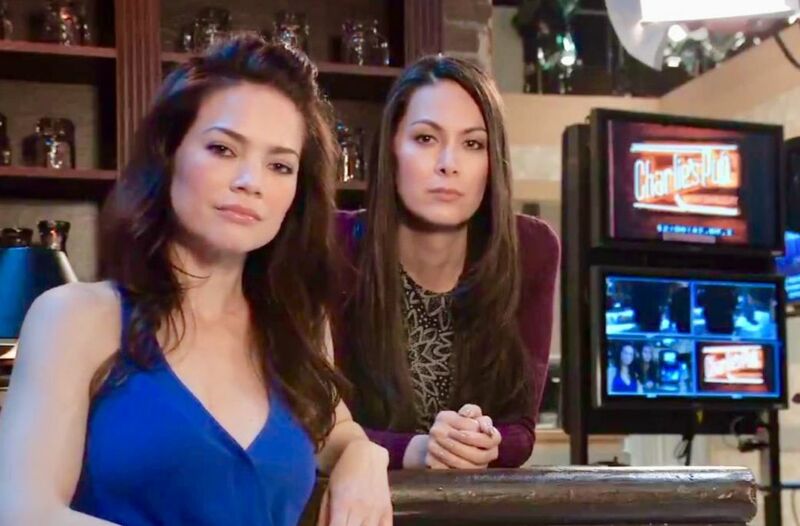 I agree the Bold and the Beautiful stinks it is so boring I tried to watch it and it does not peak my interest.What about Days ?Boy did they ever get robbed.How can they have ignored Days they have the best stories on now? 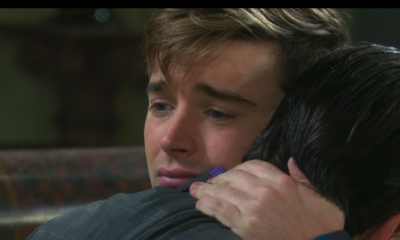 I can’t sit thru the Liam, Steffy, Hope-all 22 minutes of it, every single day. No thanks. Can’t stand either of them! K/kay…where B&B is concerned, it’s getting BEYOND OLD AND STALE watching that Bill/Brooke/Ridge and that Hope/Liam/Steffy silliness!!!!! At this point, I don’t think that Bradley Bell has a CLUE as to how to run B&B…AT ALL!!!!! Moron. Have a good one, K/kay. Rome whined last year, about not being nominated or winning. Can’t believe he won this year! What a total joke! There was problems with my online feed. Buffering and I have good internet speed. I missed best supporting actress. , and part of the GH 55th clips. Don’t know what happened. I wish it were on Tv. As far as the awards themselves, I was disappointed GH did so poorly. I thought the Joely Fischer sang beautifully, but the song should be a background to the In Memoriam. Not her fault the song should be quiet and be secondary to the video. I didn’t feel the song was the proper song for the mood, but she sang well. I felt the female co-host’s banter was improper in these days . Just my opinion. If she were a man and Mario was a woman, everyone would agree. Not a Days fan but happy for their fans. Greg Vaughn’s win was awesome! I wish Marla would have won but Cam is so good, I am cool with her win. As far as GH’s big casting win, I agree, even though Frank screws over GH’s legendary characters, he and Mark do find good actors such as Greg Evigan and Max Gail and these two did and are making an an amazing impact as Jim and Mike.